After graduating from San Francisco State with a degree in cinema Seal found himself working in Hollywood for Motown Records creating music video for stars such as Lionel Ritchie, Smokey Robinson and Rick James. He also began creating computer graphics for many of the projects. Since then he has worked on corporate projects for Pacific Bell an also docu-dramas for Nipon Television in Japan. 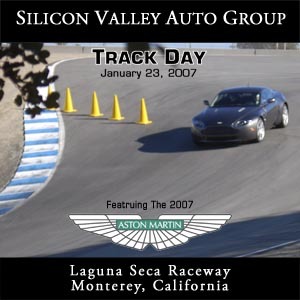 Most recently he was asked to film 18 Aston Martins at the the Laguna Seca Race Track for the Silicon Valley Auto Group. (see right Click to view movie).